speaks to general counsel around the globe to find out how they keep their teams together. There’s an oft-quoted remark by Theodore Roosevelt saying, "Appraisals are where you get together with your team leader and agree what an outstanding member of the team you are, how much your contribution has been valued, what massive potential you have and, in recognition of all this, would you mind having your salary halved?" Nowadays, most managers recognise that getting the most out of your team is about much more than wielding the bottom-line stick. Incentivising staff is often high up on the priorities list - and it’s about more than forking out for a huge salary. In the last issue of GC we looked at the work of Clayton Christensen. In his book How Will You Measure Your Life? Christensen draws on the research of Frederick Herzberg, who counts compensation among the “hygiene factors” that make a job bearable. But this is not the same as providing motivation, says Herzberg - that’s about the opportunity to grow, to be recognised, to contribute. In-house teams are growing, of course. So how can GCs build in motivators like career progression, to make sure their teams are happy - and inclined to stick around? Arijit Chakraborty, general counsel of Zurich’s Global Life and General Insurance businesses in Singapore, cedes that salary is not to be ignored when it comes to talent retention. He carefully gathers data on the incentives offered by rival companies, to make sure that his team is offered a competitive package. “Every year when we look at our salary increments and bonus, I always work closely with HR to get the relevant market intelligence so that they are properly benchmarked. That means you have to get the right job description, and you need to do the proper alignment,” he says. But getting ahead in the salary stakes might not possible for every company. There are other methods that don’t cost money. The general counsel of Colorado-based satellite television provider DISH Network Corporation, Stanton Dodge, agrees and adds that rotation can also help solidify team members’ goals. “To the extent that someone knows what they want to do, we try to put them in a place to do that. But if they really don’t know what they want to do, we will keep rotating them until they find something,” he explains. Employees need to realise where they are right now, of course. All the GCs we spoke to agreed that feedback was vital for team members to feel that they are making headway. Arijit cautions against restricting this to a yearly appraisal, and gives his perspective on performance after each assignment or deliverable. This feedback extends beyond technical prowess and addresses how that individual has managed stakeholders in the project – an area which can often throw up issues even if the legal work or advice is perfect. 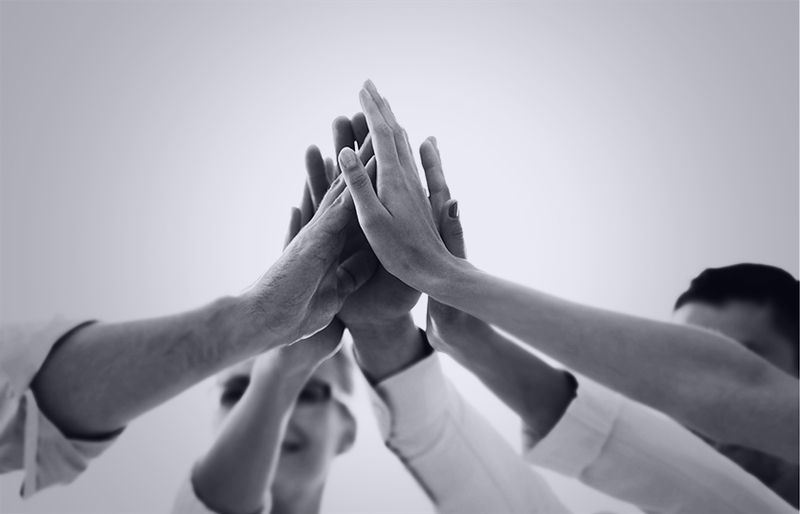 On top of recognition within the team, many general counsel highlight the importance of allowing team members to make their mark on the upper echelons of the business – to instil the confidence that their work is contributing to company strategy. Arijit is a member of Zurich’s executive management committee in Singapore, and makes a point of inviting key mid-level or junior in-housers to make presentations at committee meetings on legal and regulatory topics. Back at Zurich, Arijit is proactive in soliciting the attentions of the CEO, requesting legal and compliance to be included in company-wide congratulations to boost team members’ morale. “They feel they are a part of the deal, part of the company, making a difference,” he contends. This is the thinking behind the Zurich Excellence Award, he continues. It’s based on a nomination from the wider business in recognition of when a team member has gone beyond their role and made an exemplary contribution to the business. The executive committee conducts a selection process, and the award – a small trophy or certificate and premium movie tickets, for example - is made in a quarterly meeting. “Others can aspire to be the next recipient,” Arijit says. Another mechanism for delivering visibility in the business is the internal secondment. It carries with it the risk that the loaned employee might enjoy their new environment so much that they never return – but it could pay-off for the organisation as a whole. And after all, the ethos behind many lawyers’ decision to go in-house is to widen their skillset. Building motivators into the day-to-day life of in-house lawyers is about more than initiatives, however. The very fabric of the team, its structure, can impact on the quality of the experience. Many legal teams employ a flatter structure than other corporate departments. Received wisdom reports that a flat hierarchy impedes promotion, as those lower down the pecking order wait longer for vacant positions. Arijit manages a team of 10 in a joint legal and compliance team. Like most teams run by the GCs we spoke to, it has relatively few layers to it, although Arijit believes in the importance of a certain degree of structure. “If you have more of a flat structure then it may take you a number of years to go to the next level. If you have three or four layers, after a year or two you can jump one level and you can see potential in terms of promotion, it is reflected in your revised salary and your bonus structure, so I think that keeps people engaged,” he says. So far so good for a leaner team. But in an operation where there are several people with a similar focus due to the work volume, says Arijit, a hierarchy might be necessary. On the other hand, says Arijit, a flatter structure can be great for specialists of similar seniority to communicate with each other, without the additional layer of a go-between. If the roles are sufficiently delineated in terms of practice area, he argues, then this facilitates a flat structure much better. And not everybody wants to aim for the top of the pyramid, as Ben at ANZ (where the structure is very flat) points out. He gives the example of a colleague who runs a team of three senior specialists, each with at least 10 years’ experience under their belts, who are happy in their position in the chain. “They’re subject matter experts, they do their job very well, they’re highly respected, get great feedback from the business and they really enjoy what they do,” he says. But such a workplace is not for everyone, he concedes, and there are lawyers who crave the additional support that more hierarchy can bring. “We recently had a junior attorney who decided to leave us to work at a law firm because they provided more structure, more handholding – and she thought that type of environment was a better fit for her,” he admits. There’s no one size fits all, and it’s crucial for general counsel to fully understand the ambience of their own department, and whether its members are engaged. Zurich in Singapore has a regular “temperature check” survey that all employees must complete on an anonymous basis. “They have a simple question which asks: how do you feel about working for Zurich? And then you have smileys. Very happy faces, happy faces, sad faces,” Arijit Chakraborty describes. Self-awareness extends to one’s own leadership style too, says Ben Hamilton, who advocates playing to your own strengths. “Trying to be a gregarious and embracing character when you’re not that person just comes off poorly,” he says. For ambitious staff, it could mean being candid about the market outside your own operation in order to build trust with the team. Arijit has a novel approach when it comes to dealing with approaches from recruiters. “I am generally very frank and open with my team,” he says. “Given the tight legal and compliance market in Singapore, I share with my team if I receive a call or come across an opportunity outside Zurich, because I am certain that a few of my team members will also be approached. We discuss the pros and cons of joining it.” Nurturing a personal relationship with staff based on candour is key to retention in the long term he argues, so they have faith that their manager has their best interests at heart. For Arijit, it’s not about “retaining people in a box”, rather optimising the potential of individuals – which he believes reward him with loyalty, perhaps years down the line. It might be disappointing to see a team member go, but if they do so with the blessing of the general counsel and good relationships intact, this could result in fruitful future partnerships outside of a direct employment relationship if they take roles in private practice, government departments, or regulators.